The reserve price may be lowered to $828 million from the initial $882 million. The freehold condominium, Spanish Village situated along Farrer Road is having a go at a collective sale for the third time with a guide price of no less than $882 million. The guide price translate to a land rate of $1,721 psf ppr, including a projected $10 million development charge. Completed back in the 1980s, the 266-unit Spanish Village is located within the prime District 10 of Singapore, the 331,460 sq ft site is just 275 meters away from the nearest Farrer Road MRT station. It also just a mere 10 minutes’ drive away to Orchard Road and also One-North. The freehold residential site is also located near a wide range of renowned educational institutes in Singapore, such as Nanyang Primary School, Raffles Girl’s Primary School, and Nanyang Girls’ High School. 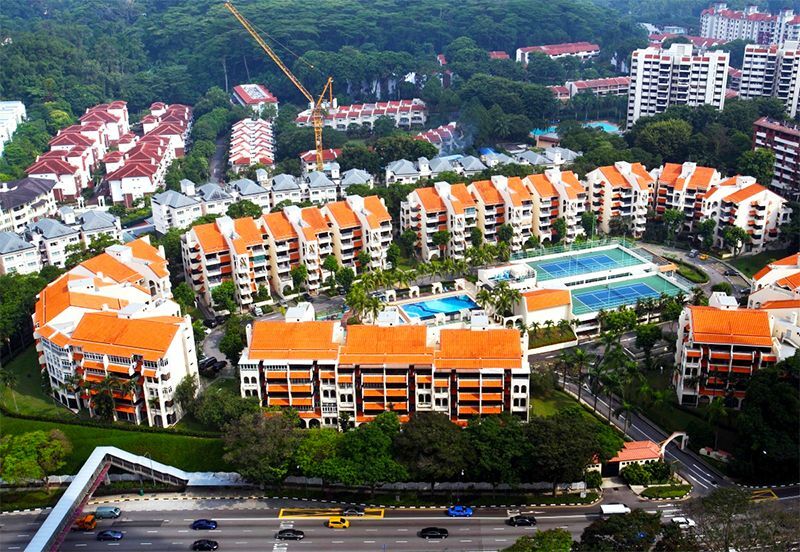 The most recent en bloc sale within the area was Tulip Garden. It was sold to a joint venture between China-based developer Yanlord Land Group and MCL Land for $907 million (or $1,790 psf ppr). District 10 has been increasingly popular with the affluent class of property buyers and some of the top luxury condos in Singapore sold in 2018 are located in this district. Under the URA Master Plan of 2014, the Spanish Village site has a gross plot ratio of 1.6 and is zoned for residential use. Thus, it has the potential to yield around 703 private homes and an in-principle of approval (IPA) has been obtained from the government since 06 September 2018. However, due to the property curbs introduced last July and recent news of private home prices declining for the first time since 2Q2017, the owners at Spanish Village condo are said to be on the verge of lowering the en bloc reserve price to $828 million instead. The tender exercise for Spanish Village will be closed at 3 pm on 11 March 2019. Earlier on, two other residential developments – Gilstead Court (at Novena) and Lakeside Apartments (at Yuan Ching) have also relaunched for collective sale. Both developments are in the midst of getting sufficient approvals from their owners for adjusting their reserve prices downwards.